I am grateful to Yisroel for pointing out the decision of the European Union Intellectual Property Office in the “Big Mac” case. It is not my usual reading. However Yisroel points out that McDonald’s failed because of a basic failure to prove things. The use of Wikapedia to prove things was particularly discouraged. An Irish burger chain “Supermac’s” sought the revocation of McDonald’s trademark in Europe of the word “Big Mac”. 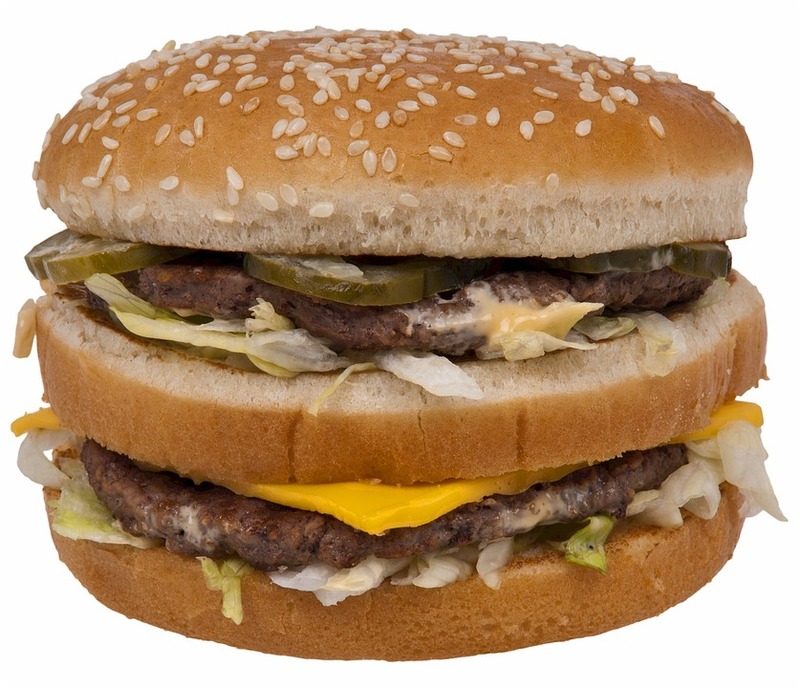 The issue arose because McDonald’s had earlier objected to items such as “the Mighty Mac Burger”. McDonald’s had to establish “genuine use”. The burden of proof was on McDonald’s. It failed to prove that basic point. The decision can be read here. A summary on IPKat summary is available here.  Brochures and printouts of advertising posters, in German, French and English, showing, inter alia, ‘Big Mac’ meat sandwiches; and packaging for sandwiches (boxes); the materials appear to originate from the EUTM proprietor and are dated between 2011 and 2016. The brochures and posters show a sandwich on the menu along with other products, or on its own, and the prices are also provided on some of the materials; other documents appear to be blank menus in which the price can be filled in. The EUTM appears on the submitted material in relation to sandwiches.  Printouts from the websites www.mcdonalds.de, www.mcdonalds.at, www.mcdonalds.be, www.mcdonalds.cz, www.mcdonalds.dk, www.mcdonalds.es, www.mcdonalds.fi, www.mcdonalds.fr, www.mcdonalds.hu, www.mcdonalds.ie, www.mcdonalds.it, www.mcdonalds.nl, www.mcdonalds.pl, www.mcdonalds.ro, www.mcdonalds.se, www.mcdonalds.si, www.mcdonalds.sk, www.mcdonalds.co.uk, dated between 07/01/2014 and 03/10/2016. They depict a variety of sandwiches, inter alia ‘Big Mac’ sandwiches, some of which state that they are sandwiches made with beef meat.  A printout from en.wikipedia.org, providing information on ‘Big Mac’ hamburger, its history, content and nutritional values in different countries. Having examined the material listed above in its entirety, the Cancellation Division finds that the evidence is insufficient to establish genuine use of the trade mark. As regards the affidavits, signed by the representatives/employees of the EUTM proprietor, Article 10(6) EUTMDR (applicable to cancellation proceedings by virtue of Article 19(2) EUTMDR) expressly mentions written statements referred to in Article 97(1)(f) EUTMR as admissible means of proof of use. Article 97(1)(f) EUTMR lists, as means of giving evidence, sworn or affirmed written statements or other statements that have a similar effect under the law of the State in which they were drawn up. As far as the probative value of this kind of evidence is concerned, statements drawn up by the interested parties themselves or their employees are generally given less weight than independent evidence. This is because the perceptions of a party involved in a dispute may be more or less affected by its personal interests in the matter. However, this does not mean that such statements do not have any probative value at all. The final outcome depends on the overall assessment of the evidence in the particular case. The probative value of such statements depends on whether or not they are supported by other types of evidence (labels, packaging, etc.) or evidence originating from independent sources. In view of the foregoing, the remaining evidence must be assessed in order to see whether or not the content of the affidavits is supported by the other items of evidence. Although some of the evidence refers to the relevant time period (e. g. some of the brochures and printouts from websites) and to some of the Member States of the EU, and the EUTM is referred to in relation to at least some of the relevant goods (e.g. sandwiches), the EUTM proprietor fails to prove the extent of use of its mark. As regards the extent of use, all the relevant facts and circumstances must be taken into account, including the nature of the relevant goods or services and the characteristics of the market concerned, the territorial extent of use, its commercial volume, duration and frequency. The assessment of genuine use entails a degree of interdependence between the factors taken into account. Thus, the fact that commercial volume achieved under the mark was not high may be offset by the fact that use of the mark was extensive or very regular, and vice versa. Likewise, the territorial scope of the use is only one of several factors to be taken into account, so that a limited territorial scope of use can be counteracted by a more significant volume or duration of use. It is noted that all of the remaining evidence (the affidavits having been already analysed above) originates from the EUTM proprietor itself, this includes the printouts from the proprietor’s own websites, promotional brochures and packaging. Part of the submitted evidence, that is, the printouts, originate from the internet. The standard applied when assessing evidence in the form of printouts from the internet is no stricter than when evaluating other forms of evidence. Consequently, the presence of the trade mark on websites can show, inter alia, the nature of its use or the fact that products or services bearing the mark have been offered to the public. However, the mere presence of a trade mark on a website is, of itself, insufficient to prove genuine use unless the website also shows the place, time and extent of use or unless this information is otherwise provided. In particular, the value of the internet extracts in terms of evidence can be strengthened by evidence that the specific website has been visited and, in particular, that orders for the relevant goods and services have been made through the website by a certain number of customers in the relevant period and in the relevant territory. For instance, useful evidence in this regard could be records that are generally kept when operating a business web page, for example, records relating to internet traffic and hits attained at various points in time or, in some cases, the countries from which the web page has been accessed. Neither of these, however, was provided by the EUTM proprietor. Indeed, although the submitted packaging materials and brochures depict the EUTM, there is no information provided about how these brochures were circulated, who they were offered to, and whether they have led to any potential or actual purchases. Moreover, there is no independent evidence submitted that could show how many of the products for which the packaging was used (if that is the case) were actually offered for sale or sold. It is concluded that, the evidence analysed above does not provide sufficient details concerning the extent of use; other than exhibiting the sign in relation to goods which could be considered to be part of the relevant goods, these materials do not give any data for the real commercial presence of the EUTM for any of the relevant goods or services. It follows that the submitted brochures, packaging and printouts do not give sufficient information to support the sales and turnover figures claimed in the affidavits. As far as the printout from en.wikipedia.org is concerned, it is noted that Wikipedia entries cannot be considered as a reliable source of information, as they can be amended by Wikipedia’s users and therefore these could only be considered relevant as far as they are supported by other pieces of independent concrete evidence. In the case at issue, however, the remaining pieces of evidence which were submitted do not provide information about the extent of use, as already mentioned above, and therefore, the excerpt from Wikipedia does not change the conclusions reached in that respect. As far as the applicant’s statement regarding the use of the sign for sandwiches is concerned, it is noted that the Office must conclude its own evaluation of the evidence of use submitted. This means that the probative value of the evidence is evaluated independently of the observations submitted by the applicant in this respect. Assessment of the relevance, pertinence, conclusiveness and efficacy of evidence lies within the discretion and power of judgment of the Office, not the parties, and falls outside the adversarial principle which governs inter parties proceedings (decisions of 01/08/2007, R 201/2006-4, OCB, § 19;14/11/2000, R 823/1999-3, SIDOL). A declaration by the applicant concluding that evidence of use submitted is sufficient to prove use in relation to the contested goods does not, therefore, have any effect on the Office’s findings. Taking into account the submitted evidence as a whole, it is concluded that the documents do not provide conclusive information that the products marked with the EUTM are offered for actual sale, as there is no confirmation of any commercial transactions, either online, or via brick-and-mortar operations. Even if the goods were offered for sale, there is no data about how long the products were offered on the given web page or in other ways, and there is no information of any actual sales taking place or any potential and relevant consumers being engaged, either through an offer, or through a sale. Finally, as far as the relevant services are considered, there is no single piece of evidence that refers to any of the registered services being offered under the EUTM.